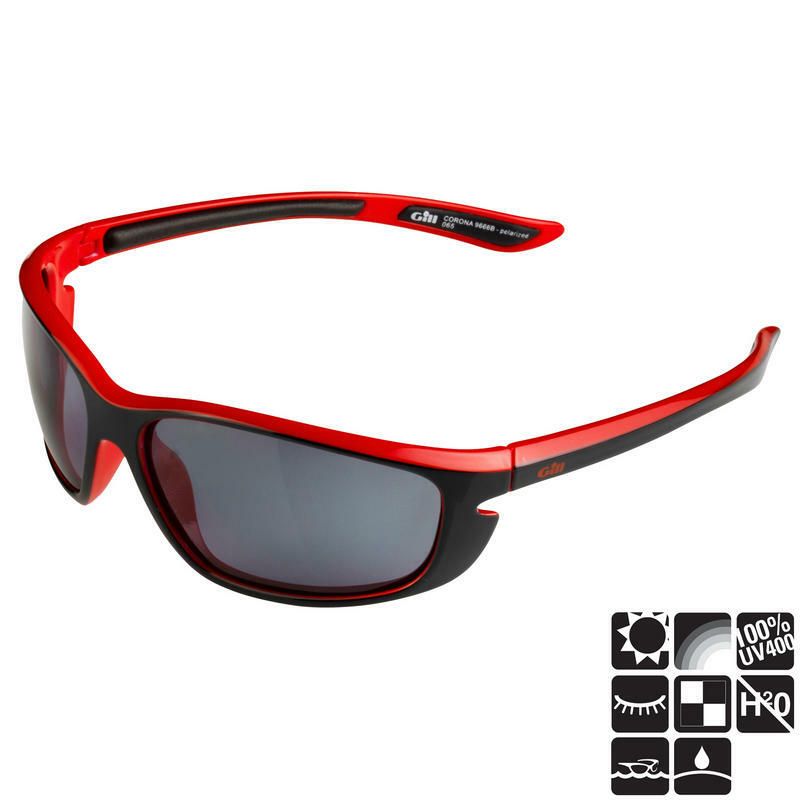 All Gill Sunglasses are floatable, so if you drop them, all is not lost. 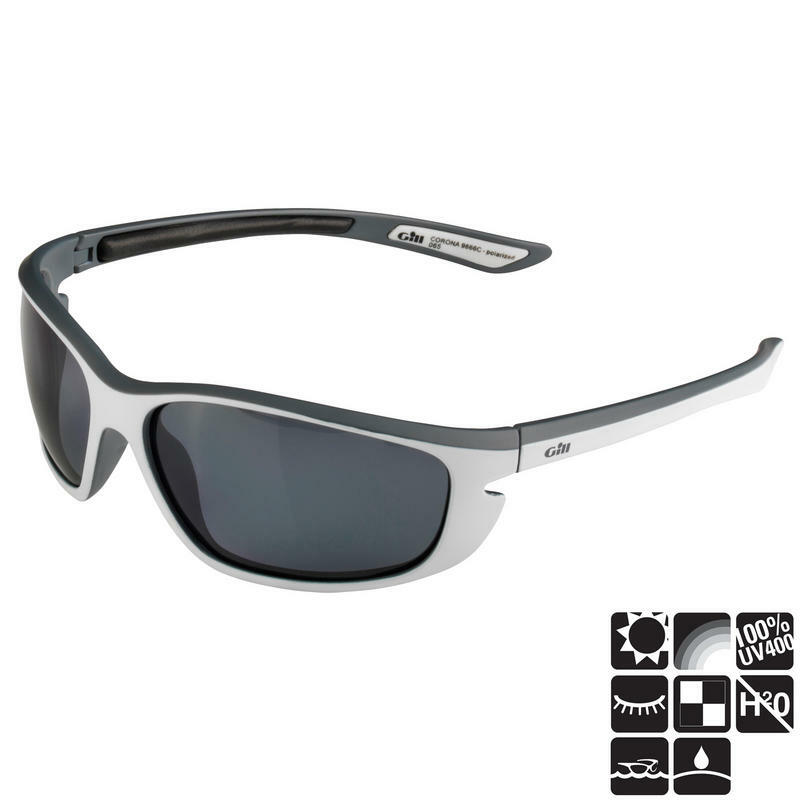 They feature UV protection and 100% glare free polarised lenses specifically designed for use on the water. The 'Corona' Sunglasses are available with Black/Red, Black or White frames. Glare Free Vision: Polarised lenses block the glare produced by light reflecting off the water or bright deck surfaces. This reflected light creates a distracting haze which can be a real issue when you're looking for marker buoys or checking sail trim. 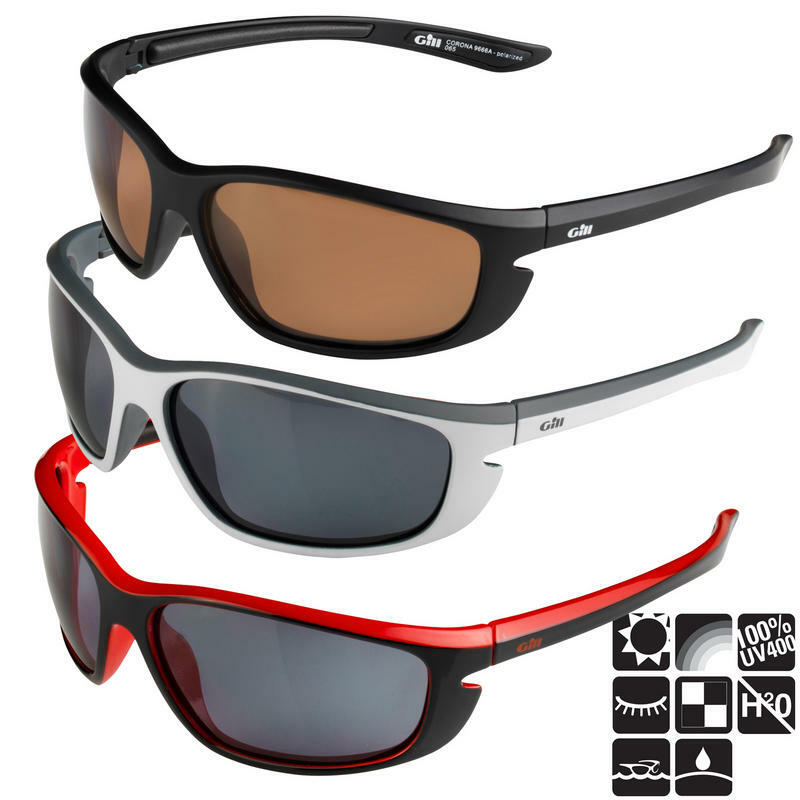 Polarising lenses are made up of a number of functional elements ultra-carefully bonded together to achieve a high performance optical product. The main element of the sandwich lens construction is the polarising light filter in the centre. Laminated to both sides of the filter are UV light absorbers. Optically-corrected, shatter-resistant cushion elements are laminated to both sides of the UV absorbers, followed by a unique scratch-proof coating applied to the outer surface. Natural Colours: Filter category 3 lenses allowing 8 - 18% light transmission and are useful in bright sunlight, driving and general purpose wear. 100% UV400: UV light absorbers, which block 100% of harmful UVA, UVB and UVC radiation. Reduced Eye Fatigue: A quality optical lens is used to prevent vision distortion as cheaper lenses bend and misdirect light so that sizes, shapes and even distances can become distorted - leading to eye strain as you’re forced to compensate. Our ‘optically perfect’ lenses are the result of a unique manufacturing process that fine tunes the lens for a clearer, truer vision. 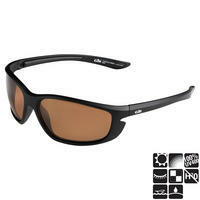 As a result, they comply with European Class 1 Optics Standards. Clear Contrast: For everyday use in sunny conditions we’d recommend a Dark Smoke colour as this blocks more bright light and doesn’t distort colours. The other lens colour offered within the range is Copper which is great for everyday use but has the added benefit of filtering blue light and therefore enhancing reds and greens - useful for sighting buoys against water and bright blue sky. Floatable: Designed for life on the water, all Gill sunglasses float. To achieve this our frames are constructed from lightweight materials with closed cell floatation pods. The edge and speed styles contain sealed air-chambers within the frame itself. Our new Reflex style uses the latest in flotation technology; an advanced low density polymer with natural buoyancy. Hydrophobic: Hydrophobic outer coating sheds water and reduces salt residue for clear vision. Oleophobic: Oleophobic technology applied to the inside face repels fingerprints, sun lotion and skin oils. This is the same technology found on touch-screen devices to reduce finger marks.